During an adventure into a dark criminal underworld, Han Solo meets his future copilot Chewbacca and encounters Lando Calrissian years before joining the Rebellion. 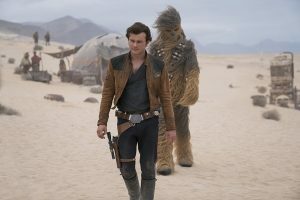 Described as a space western, the film centers on the young Han Solo and his adventures with his Wookiee side-kick Chewbacca, including their encounter with Lando Calrissian. KIDS FIRST! 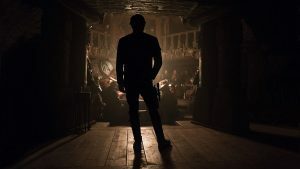 Film Critic Arjun N. comments, “Solo: A Star Wars Story is a perfectly serviceable origin story for the famous titular character. The acting and direction provide an outstanding mix of visuals and characterization.” KIDS FIRST! 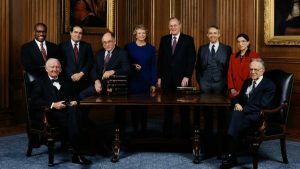 Adult Juror, Kimbirly O. adds, “Howard’s optimistic effort on this prequel doesn’t save the film. He made a good film, but if it was a stand-alone film, I would not predict a plethora of sequels.” See their full reviews below. Solo: A Star Wars Story is a perfectly serviceable origin story for the famous titular character. The acting and direction provide an outstanding mix of visuals and characterization. This is definitely an essential watch for any Star Wars fan. The movie follows young Han Solo (Alden Ehrenreich) on his journey to become the famed hero pilot. 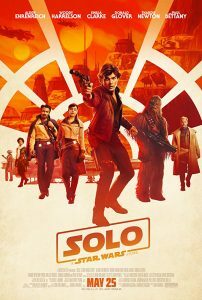 As a talented maverick, Solo joins forces with the thief Beckett (Woody Harrelson) and his crew to escape poverty and become part of something bigger. However, one of their heists goes wrong resulting in a life or death deal with Dryden Vos (Paul Bettany) which will determine the fate of their lives. 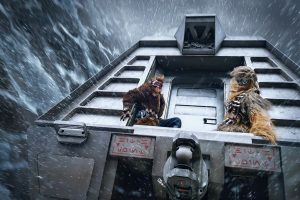 To rectify this, Solo and newfound friend Chewbacca (Joonas Suotamo) enlist the help of old flame Qi’ra (Emilia Clarke) and the charming Lando Calrissian (Donald Glover) to take part in the second heist. Alden Ehrenreich, as Han Solo, wonderfully portrays hi s hero’s journey from a poor, oppressed dreamer to heroic pilot. His mannerisms and line delivery excellently match up to the standard set by Harrison Ford. 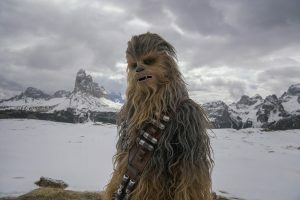 Joonas Suotamo, as Chewbacca, encompasses an extraordinary counterpart Peter Mayhew’s mantle as he perfectly portrays his growing friendship with Han. Donald Glover, as Lando Calrissian, is my favorite character due to his exact interpretations of Billy Dee Williams’s zany parlance. His banter with Solo only forwards the character’s legacy. Woody Harrelson, as Beckett, provides for a flawed yet effective mentor to Solo by guiding him about motivations and how to deal. Emilia Clarke, as Qi’ra, is great with what she is given, but her character falls into the stereotypical “will they or won’t they” love interest loop. Paul Bettany, as Dryden Vos, is menacing with his passive aggressiveness building to volatile outburst when his orders are disobeyed. Ron Howard efficiently grasps all the characters’ tales by providing gre at interactions with known Star Wars lore. My favorite scene is the initial train heist as it showcases how unprepared Beckett’s gang was and is intense as regards the fates of all characters involved. Also, there are great displays of special effects with the train’s movement patterns. The one flaw is that it really doesn’t Solo any character transformation as he always remains heroic with the only change being how he goes from rags to riches. The love triangle between Solo, Qi’ra and Dryden also feels uninspired. The message of the movie is to always abide by morals rather than selfish instinct. I give this film 4 out of 5 stars and recommend it for ages 10 to 18 because of its intense action. The movie releases in theaters May 25, 2018, so check it out. I was excited to see the origin story of Han Solo, as he has been a character favorite of mine for years. The young man was boosting scams from age 10 and lived a life of adventure, for sure! Learning how his last name came to be was interesting – think passport control questioning. But, I digress. 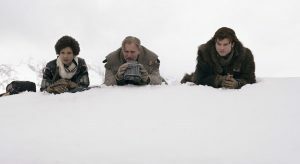 While the film strives to tell the story of how Han Solo (Alden Ehrenreich) and Chewbacca, everyone’s favorite Wookie (Joonas Suotamo) became BFFs after a contentious beginning, it had some stalls and at times, I wondered if Han was attempting to be our hero or villain. I felt the origin story of Han Solo did not go deep enough to show us who he is, and what lead him to be, Solo. The most interesting character is Becket, pl ayed by Woody Harrelson. He is a true team player, but what team does he play for? His chameleon-like persona is wonderful to see and a testament to this talented and beloved actor. 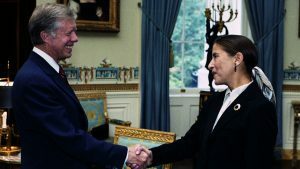 The film begins centered on a bunch of bad dudes who all fear the reptilian and then, our hero Han, who eventually joins the Imperial armed forces to reconnect with his love, Qi’ra (Emilia Clarke). Being the rebel he is, Han is kicked out of pilot training and ends up in one of the many Empire wars. 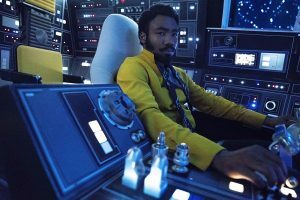 His quest to find Qi’ra lands him in the clutches of the dreadful mob boss Dryden Vos (Paul Bettany) and a gambler named Lando Calrissian (Donald Glover). Long ago, in a vision far-away, original directors Phil Lord and Chris Miller were off-loaded from the payload and rescued by super Director Ron Howard. Howard’s optimistic effort on this prequel doesn’t save the film. He made a good film, but if it was a stand-alone film, I would not predict a plethora of sequels. 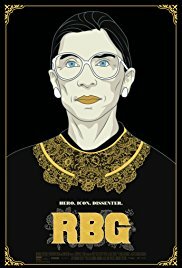 I give this film of 4 out of 5 stars for the perform ances, which are spectacular, especially Glover, Harrelson and Ehrenreich, along with special effects, creepy wardrobes, action scenes and Star Wars references that any true fan will ‘get’ (like the Kessel Run, the Millennium Falcon and of course, the necklace hanging on the rearview mirror). I recommend this film for ages 8 to 18. I caution younger viewing due to adult themes and fight scenes which may be disturbing to younger children. 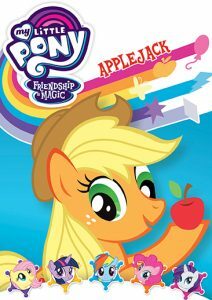 Posted in DVDs Released | Comments Off on My Little Pony: Friendship Is Magic: Applejack – Wonderfully animated, delightful stories, great lessons! 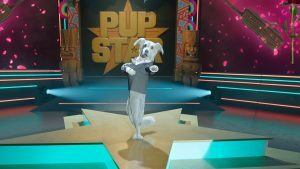 Pup Star: World Tour – Entertaining, Witty, Sassy And Completely A Family Friday-Night Movie. 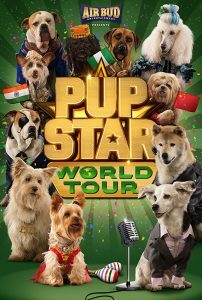 Pup Star is back, with an all-new movie that takes the popular singing dogs on trip around the world, where Tiny and friends find fantastic new songs and meet exciting new canine singers that prove music really is the universal language. KIDS FIRST! Film Critic Calista B. comments, “Because almost the entire cast is comprised of talking dogs, the editing needs to look good. And, like previous movies, it really does look like the dogs are talking. 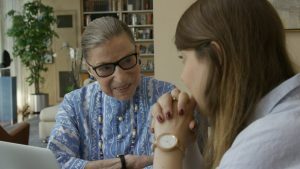 I can’t even imagine how difficult it must be to film and edit this movie.” Nathalia J. adds, “I am totally into this movie! 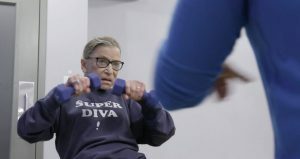 It is absolutely hilarious – very entertaining, witty, sassy, incredible and completely a family Friday-night movie to enjoy. It is also perfect for dog lovers.” See their full reviews below. This movie is definitely made for younger kids. 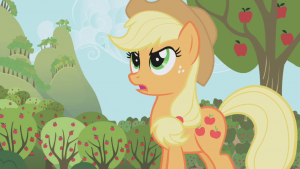 The storyline isn’t very complicated and it is pretty predictable, but still very enjoyable for the whole family. 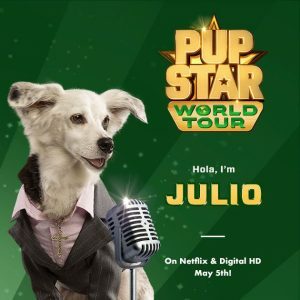 The story is about the puppy celebrity Tiny, now a Judge on Pup Stars World Tour, and has selected a dog named Julio as her representative. The issue is, Julio is helping Bark, the villain from the first two movies, win Pup Stars. Because almost the entire cast is comprised of talking dogs, the editing needs to look good. And, like previous movies, it really does look like the dogs are talking. I can’t even imagine how difficult it must be to film and edit this movie. In the scenes where Julio performs, he does all these crazy moves and twists and – he looks really good. Kudos to the editors, Jason Dale and Nik Svab. They say it is difficult to work with kids and animals. 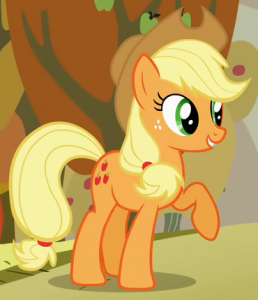 One thing I liked in the previous Pup Star movie is the song that Tiny sang. It really was an ear worm. 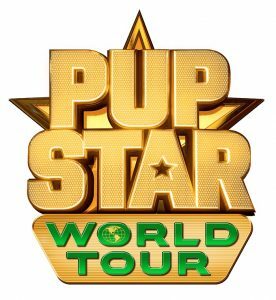 In Pup Star: World Tour there are tons of new songs, with some really talented singers and interesting cultural backgrounds. Because each contestant is from a different country, the songs differ depending on the culture. I really like that about these songs. It fits well with the message they are trying to spread about being united through music. Shout Out to Brahm Wenger. I feel that, in this movie especially, the writers work with th e fact that dogs in this make believe world are actors, singers and similar. There are dog soap operas and there are also tabloids covering dog news. It is as if dogs are not our pets, but more like our equals. Some people already consider them their kids, so I guess it is not that far fetched. Little stuff like that really helps the world building. 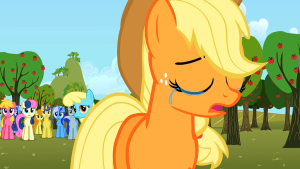 Also, one of my main issues with the second Pup Stars movie was that I felt the human characters were too oblivious and easily manipulated by the villain’s plans. Thankfully, it’s different here. The villain’s plan is a little more complicated, so I could actually see how the human characters could believe what was going on. 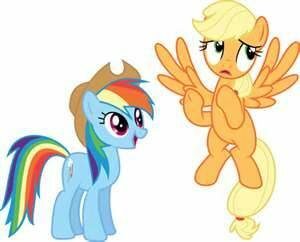 Also, I surprisingly laughed a lot. The way certain scenes are shot and acted is just hilarious! Now, my one question is, how many more Pup Stars movies will there be? The ending of this movie serves really well as the conclusion to the series. But, my guess is that this won’t likely be the last movie. I give this film 4 out of 5 stars and recommend it for ages 4 to 18. If you like dogs and music from all over, I recommend this for you in particular. It comes out on May 5, 2018 so look for it. 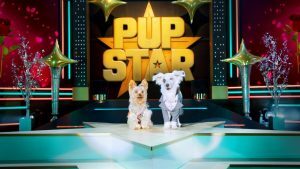 Pup Star is back and bigger than ever, as the hit singing pup competition goes global! I am totally into this movie! It is absolutely hilarious – very entertaining, witty, sassy, incredible and completely a family Friday-night movie to enjoy. It is also perfect for dog lovers. I love this heart-warming film because it is different, talking dogs… now that’s pretty different. The dogs bring a fun and quirky style with the singing and dancing that will bring the best out of you. This is definitely a fun, big scale musical adventure. 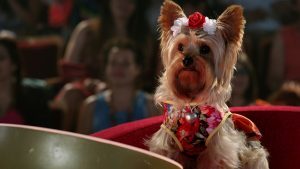 The story follows Tiny, a charming Yorkie, as she joins the launch of the Pup Star World Tour as a celebrity judge. 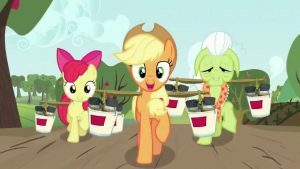 It takes the popular singing dogs on a trip around the world where Tiny and friends find wonderful new songs to sing from different countries. 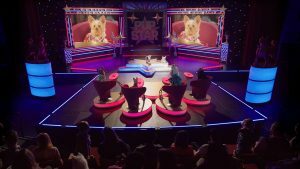 Each judge chooses their favorite contestant to compete for the new title of Global Pup Star Champion. This film literally makes you get up and dance. 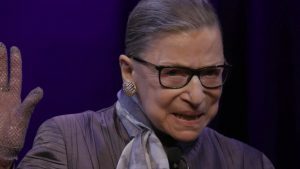 When the contest faces a severe threat from a trio of conspirators, you have go see the movie to find out how that is resolved. 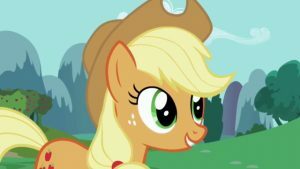 Directed and written by Robert Vince, the lead characters and the talent that voices them include Tiny (Kaitlyn Maher), Julio (Jorge Diaz), Grandpa Growl (John Ratzenberger), Simon Growl (Steve Valentine), Bark (George Newbern), Shep (Reggie De Leon), Rover (Jonathon Mangum), Jimmy Kibble (Brian Hull), Steven (David DeLuise), Butch (Danny Woodbury), Raji (Maulik Pancholy), Lou (Makenzie Moss), Ming (April Hong), Juan (Steve Zaragoza), Kano (Diedrich Bader), Dog Gnarly (Ziggy Marley) and many more. The dogs’ costumes are glamorou s, with all the sparkles, glitter and beautiful colors. The colors really bring great visual effects to the film. When all the dogs from different countries come out to sing in their cultural customs, it really drew my attention. I loved seeing all the different backgrounds and vibes in all of the dogs. The music is remarkable. It really fits the theme of the film and paints pictures of all the different cultures. My favorite characters are Tiny, who unquestionably is the most adorable judge, Shep, the funny service manager and Julio, the Mexican pup with a big heart. Most importantly, all the characters are amazing. My absolute favorite part is when the cheaters (I’m not going to tell you who they are) get disqualified from the competition. The message of the story is “cheaters never win; winners never cheat.” I’ll admit, I’ve never understood the utility of cheating. This film definitely calls you to action. It has a positive message that promotes positive social behavior. I give this film 5 out of 5 stars and definitely recommend it for ages 5 to 14 years old, as well as adults. The film will be released on May 5, 2018 in Canada and USA so look for it! 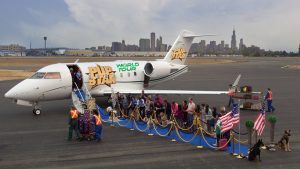 Posted in Feature Film Reviews | Comments Off on Pup Star: World Tour – Entertaining, Witty, Sassy And Completely A Family Friday-Night Movie. 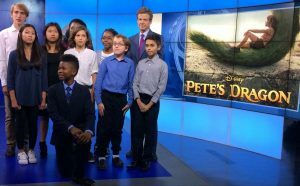 ABC Eyewitness News coverage by Sandy Kenyon of 2017 New York City camp. KIDS FIRST! 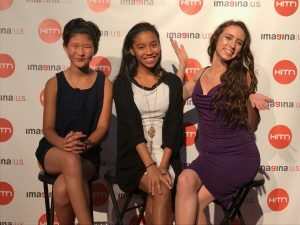 is a project of the 26-year-old national nonprofit (501-c-3) Coalition for Quality Children’s Media whose mission is to teach children critical viewing skills and to increase the visibility and availability of quality children’s media. The KIDS FIRST! 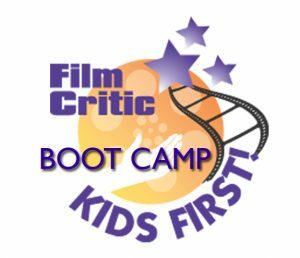 Film Critics Boot Camp has taken place on the lot at Walt Disney Studios, the Paramount Pictures lot, Discovery Communications Headquarters and Hispanic Information and Technology Network in New York City. KIDS FIRST! 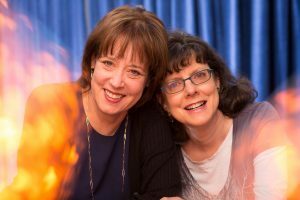 is supported by major entertainment industry leaders, teachers, librarians, media professionals, lobbyists, policymakers, child advocates, educators, parents and families nationwide with a cumulative membership of over 17 million. You are currently browsing the KIDS FIRST! 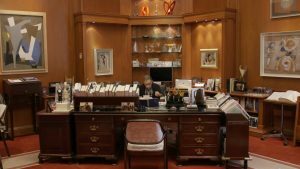 News weblog archives for May, 2018.